Beethoven had been enamoured with the Countess Josephine von Brunsvik for a number of years. She was one of several women Beethoven had fallen in love with who were socially beyond his station. In the period where Beethoven composed the fifth and sixth symphonies she remained his unattainable true love, but two years after the symphonies were first performed she married again, after a number of years as a widow. Beethoven’s passion was awakened with renewed vigour, and in 1812 he wrote a letter to his “immortal beloved,” whose identity the letter does not make clear and to this day is not known with any certainty. In 1811 and again in 1812 Beethoven spent time in Teplitz in order to convalesce. In these years his hearing was reduced, but he could still hear both speech and music. Only a few years later, his hearing would disappear completely. Other significant works from this period are the “Emperor” concerto (Piano Concerto No. 5, Op. 73); the opera Fidelio, Op. 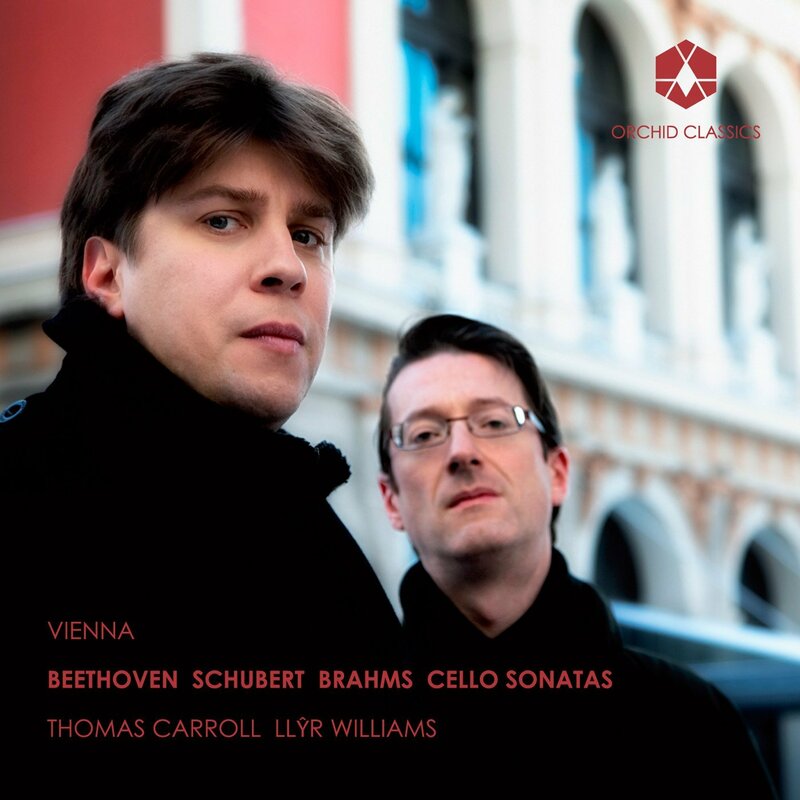 72; the Violin Concerto, Op. 61; the Egmont Overture, Op. 84, the “Ghost” piano trio (Op. 70 No. 1); and the string quartets of Op. 74 (the “Harp”) and Op. 95 (“Serioso”). In 1812, Beethoven had a so-called life mask created, an impression of his face made in plaster. Beethoven’s fifth and sixth symphonies were composed in parallel, and were given their first performances at the same concert in December 1808. Beethoven is reputed to have remarked to an acquaintance that the fifth symphony’s four-note opening motive was “Fate knocking at the door.” The symphony was recognized as a masterwork soon after its first performance, and has stood as a milestone in the symphonic repertoire ever since. The rhythmically-insistent knocking motif of the first movement is not just an effective beginning, but carries the musical development of the entire movement, appearing throughout the movement in numerous guises. The second movement, in A-flat major, consists of two themes which dovetail in a powerful current of melodic variation. The third movement returns to C minor, and is full of energy and forward motion. The scherzo is transformed without pause into the triumphant C major finale, which acts as a mesmerizing counterweight to the first movement’s gravity. When it was premiered, the sixth symphony bore the accompanying title “Recollections of Life in the Country,” and Beethoven remarked that the music represented feelings, as opposed to programmatic descriptions or musical paintings. Nevertheless, the work is filled with musical portrayals such as birdsong (second movement), a country dance (third movement), and one of the most rousing storms in the history of music (fourth movement). The listener is nearly powerless to prevent the formation of palpable images upon hearing these masterful descriptions in sound. And yet Beethoven accomplishes more than this: he elevates the simplicity and serenity of country life to a spiritual plane, and underway the symphony becomes a meditation on joy and contentment. The “Pastorale” is blithe and gossamer, uncomplicated in comparison to the fifth symphony’s struggle from darkness to light, despite the fact that the two works were composed together and premiered side by side in 1808. The symphony begins dark and stately. But this mood lasts only until the first movement’s vivace section begins, and the remainder of the symphony is a wild conglomeration of energetic dance rhythms of all sorts. Beethoven’s seventh symphony is often spoken of as one or more dances. The pace is fast, and the rhythms are contagious, but it is closer to a memory or idealization of a dance that whirls around in the music here: the rhythms and the celebratory character are certainly there, but the music is transformed to a concert hall symphony’s reminiscence of its roots in dance music, from the boisterous barnyard romp to the elegant quadrilles of the palace court. The seventh symphony was immediately popular, and has been a rousing feature of countless concert programmes ever since. Beethoven is said to have regarded the work as one of his favourites. Richard Wagner spoke of the “apotheosis of the dance” when he heard the work, and at its premiere, the applause after the second movement was so great that the movement had to be repeated. Like the sixth and seventh symphonies, the eighth is also predominantly joyful and radiant in its character. It was composed in 1812, immediately after the seventh symphony, and is remarkably different from the previous two symphonies, despite the similarity in atmosphere underpinning them; even within the confines of a particular mood or feeling, Beethoven expressed himself with a seemingly inexhaustible wealth of musical nuance. Where the sixth is characterized by life in the country, and the seventh is propelled by dancing rhythms, the eighth is more robust and firm in its exploration of joyful mood. Already in the first movement, the listener is met with whirling chaos and darkness, and the symphony is in this way more mottled than its predecessor, whose popularity the eighth never surpassed. Beethoven’s tendency, throughout the nine symphonies, to make the last movement the weightiest and most significant musically, can be observed here – this tendency culminates in the ninth symphony. Copenhagen Phil, also known as Tivoli’s Symphony Orchestra in the summer, is based in Copenhagen, but as one of five nationally-supported Danish orchestras charged with bringing symphonic music to the entire country, is active all over the island of Zealand. The orchestra also tours internationally. Copenhagen Phil is dedicated to renewing and developing itself in order to play a significant role in its culture and to maintain relevance in society at large. An important aspect of the orchestra’s culture is that everything is accomplished internally by the musicians and administration together. The orchestra’s comprehensive work with children takes as its starting point that all sensory and experience-based learning creates an opportunity to cultivate a relationship to art and culture, and that this opportunity renews itself again and again. Copenhagen Phil has developed new concert formats, including the indie-classical series “60 Minutes,” unique concerts where the orchestra works with artists across genres. The orchestra has also set a focus on establishing and cultivating a meaningful presence in the digital world, being among the first orchestras in the world to conduct successful “flash mobs,” which later became viral videos on YouTube. This success is being followed up by a large-scale digital project entitled “World Online Orchestra.” At www.worldonlineorchestra.com, internet users all over the world can embark on a journey of musical discovery behind both the music and the orchestra’s musicians, and ultimately join in and play along with the orchestra. 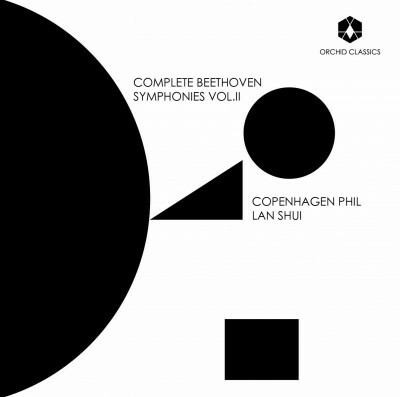 Lan Shui has been the Chief Conductor for Copenhagen Phil since 2007. Shui was educated and trained as a conductor in China, where he had his debut on the podium leading the Chinese Central Philharmonic Orchestra. He continued his studies in the United States in the 1980s, where he conducted numerous American orchestras, among them the Los Angeles Philharmonic and the Detroit Symphony Orchestra. In 1997 Shui was named Music Director of the Singapore Symphony Orchestra, which has flourished artistically and achieved international recognition under his leadership. On top of his established engagements in Copenhagen and Singapore, Shui guest conducts regularly with many of the world’s leading orchestras, collaborating with artists such as Hilary Hahn, Yo-yo Ma, and Maxim Vengerov. 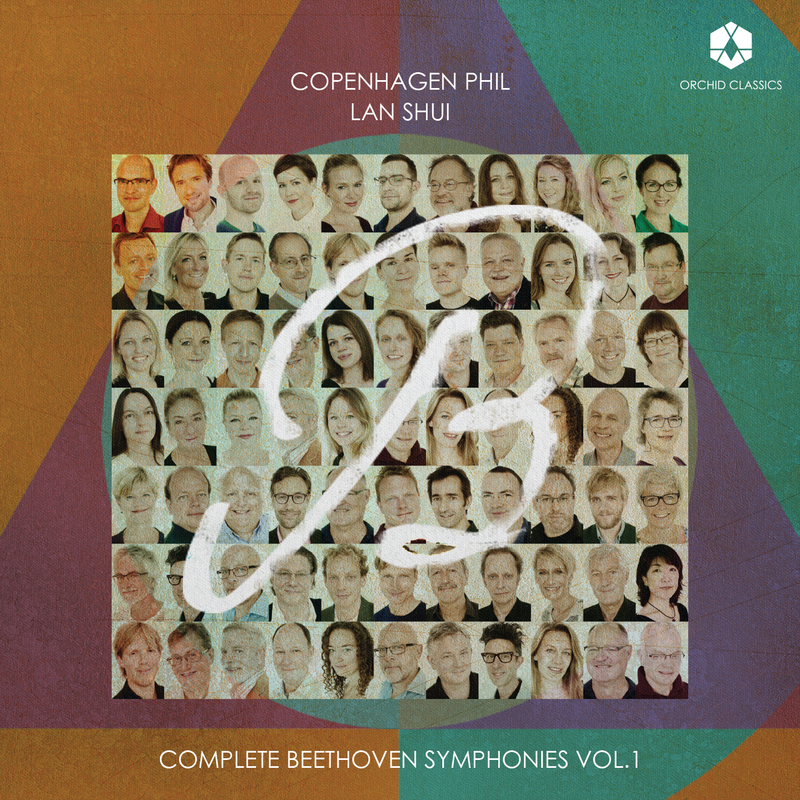 In addition to his intense work with Copenhagen Phil over a period of several years on the cycle of Beethoven Symphonies, Shui has also performed works of, among others, Berlioz, Nielsen, Britten, and Mendelssohn with the orchestra. Lan Shui is also passionate about contemporary music, and has conducted numerous premieres in various places around the globe. He conducted the Danish premiere of Bent Sørensen’s Trumpet Concerto with Copenhagen Phil in 2013.